Baltimore corporate event or Baltimore corporate activities with Baltimore Wicked History Tours – choose from a 1.5 hour long all ages Wicked History Walking tour or a 2.5 hour Wicked History Pub Tour (21 and over only). All Ages Wicked History Walking Tour (Fells Point): Duration -1.5 hours. Tour covers less than a mile with frequent stops on flat terrain. 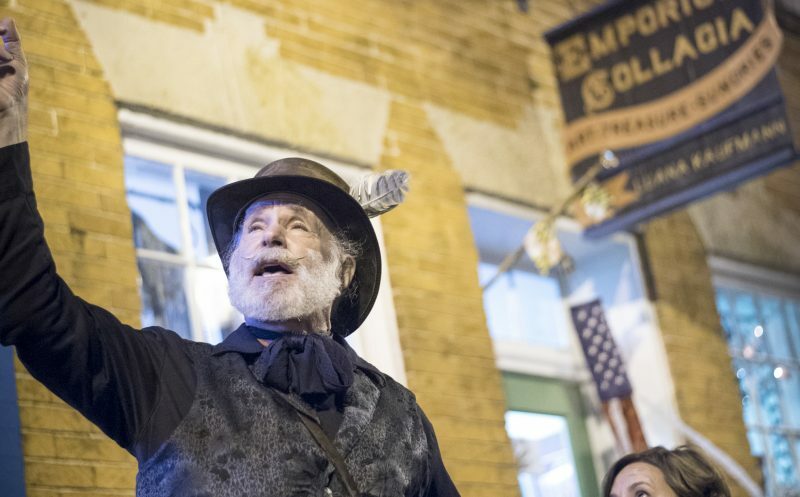 Join Baltimore Wicked History Tours as we take you on back to when Fells Point was a colorful, dangerous place to visit, crawling with sailors, privateers, and immigrants looking for a better life. Tempers ran hot with people who had nothing to lose and those looking to exploit them. But Fells Point had its bright spots with luminaries like Billie Holiday and Edgar Allan Poe roaming these historic streets. Come take our all ages Fells Point Wicked History history tour to experience Baltimore’s scandalous history! This is a Baltimore history tour like no other. Some might call it wicked. Fells Point Wicked History Pub Tour: Duration 2-2.5 hours. Join Baltimore Wicked History Tours as we take you on back to when Fells Point was a colorful, dangerous place to visit, crawling with sailors, privateers, ladies of the night, and immigrants looking for a better life. Tempers ran hot with people who had nothing to lose and those looking to exploit them. But Fells Point had its bright spots with luminaries like Billie Holiday and Edgar Allan Poe roaming these historic streets. Come take our Fells Point history pub tour and crawl and experience Baltimore’s scandalous history! This is a Baltimore history tour like no other. Some might call it wicked. Mt Vernon Wicked History Pub Tour: Duration- 2 hours. Join us in Baltimore’s Mt Vernon neighborhood for a journey into the scandalous history of some of the most esteemed members of Baltimore society. From the Gilded Age to the Jazz Age, Mt Vernon Baltimore has it all. It was here that Francis Scott Key died, and his second cousin, F Scott Fitzgerald drank himself nearly to death. Here Mary Garrett Jacobs ruled Baltimore society, Zelda Fitzgerald’s disastrous play was staged, and Wallace Warfield Simpson first worked her wiles. Mt Vernon has hosted kings and presidents, and not a few famous writers. Join us to revisit the intrigue of the past along these hallowed streets. Please see our group tours page for information on group pricing or email us at info@wickedhistorybaltimore.com to book your group tour.